Every great story has a beginning. But they rarely involve two nerds. 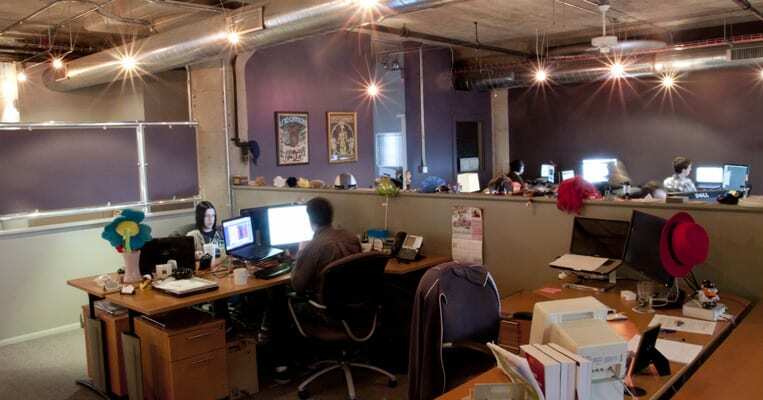 Witness how a bromance for the ages evolved into a leading Chicago web design company. Andy and Barrett meet at Deerfield High School. Barrett and Andy somehow graduate from Deerfield and move on to the University of Iowa, where they room together. Barrett studies art and business. Andy majors in foreign language and education. Orbit Media Studios is incorporated as a multimedia comic company. The Tales of Captain Claybeard becomes the first (and last) such product. No one quits their day job yet. Barrett and Andy soon begin collaborating again on interactive work for clients and agencies, including online games, CD-ROM training tools, and websites, including e-commerce. 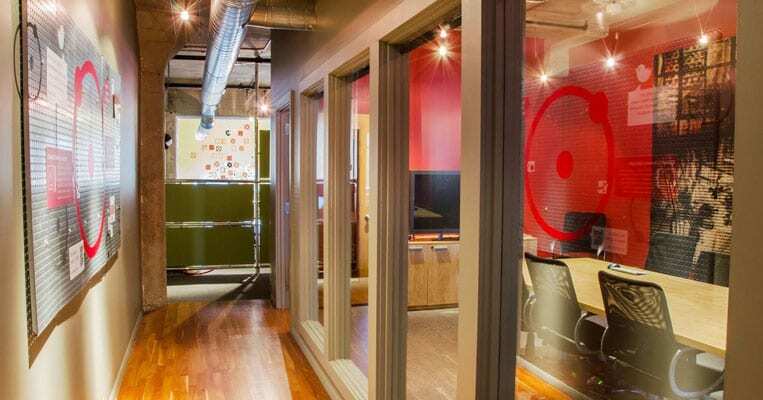 Orbit Media Studios is re-incorporated, this time as a client-service company, offering custom web design directly to small businesses and to larger companies through agency partnerships. Work begins on the framework for what will become Mighty-Site®, a new content management system. Barrett and Andy join forces with Frank Voznak. Along with increasingly complex interactive projects and 24 successful website launches, Orbit adds new offerings to the client-services menu, including video and print design services. Orbit begins building a project management platform that will evolve into Sputnik. Building on a growth rate that has hovered above 75% for the past three years, Orbit launches 50+ web sites and expands further into video and print design. Mighty-Site, Orbit’s own CMS, gets upgraded with e-commerce capabilities. With 11 full-time Orbiteers (Rich, Lee, Grant, Erin, Alex, Jill, Jessica, Brian, Barrett, Andy, Frank), the team moves into a larger, more comfortable space. The print-design department begins work on major identity and branding projects. Responding to client demands for sites with embedded video and more intelligent features, Orbit posts $1.2 million in sales and launches a record 75 web sites. 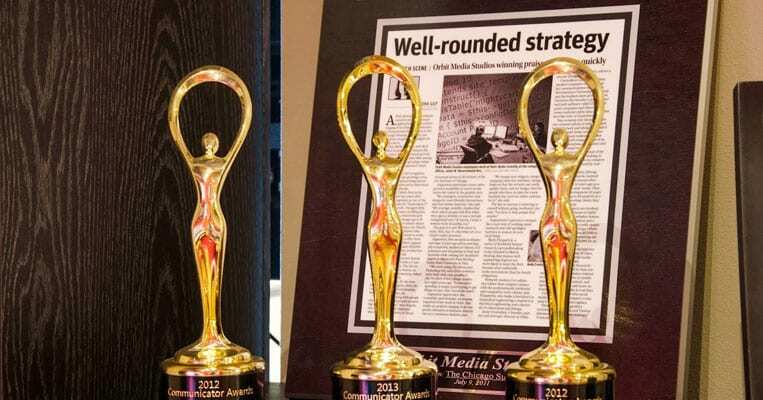 Various web, print, and video projects garner nine awards and honors for the firm. Orbit begins it’s own adventure in email marketing with the Orbiter, creating content and sharing advice. Orbit grows its menu of offerings to include more in-depth, user-focused strategy, and content development. Five new Orbiteers join the team. An unexpected opportunity arises to grow into the office space next door. Despite the abysmal economy, Orbit takes the plunge and doubles the size of the office, building out a complete video production studio in the process. McCall Patterns – a new e-commerce presence for a 150-year-old business. It’s really a family of five sites that process millions in transactions and connect with the mainframe. The Rub Hub – an online directory with maps, events, and reviews. Members manage their own listings in a minor masterpiece of usability. Other improvements in 2009 included our first mobile website (visit www.orbitmedia.com from your phone) and a revamp of our usability testing process. Orbit begins conducting user testing in a lab environment with small focus groups and big results. The Orbit team grows to 21 experts and specialists. 2010 brings a wide range of projects – both web and video. But we still find time to make improvements. Project management, development, design, quality control, usability, and support are all re-examined to ensure that every effort delivers as much value as possible to each client. In June, Orbit hosts its first event. The topic is content marketing and 120 are in attendance. In September, Orbit partners with Lightspan Digital and Flanigan Communications to create Chicago Cause, an in-kind donation of web, video, social media, and PR work. Seventy companies apply. Congratulations to the winner of the inaugural Chicago Cause: CDEL, the Center for Disability and Elder Law. By December 31st, we launch 74 websites. We also redesign our own website, as well as our Facebook page. Attendance around the office grows, as the size of the team grows to 25. Best of all, three Orbiteers have babies! Little Ashley, Stella, and Hunter are all seen wearing Orbit onesies. The year of our 10th anniversary is another year of improvement and growth. As the Orbit family grows to 29, leadership roles in the design, development, and project management teams are in place. Next a strategy team is developed to advise, consult, and connect with clients. The 72 websites launched include lead generations sites, mobile websites, marketing websites, web-based start-ups, and large-scale e-commerce sites. Orbit opens the doors for Wine & Web, an ongoing monthly seminar series where we teach web strategy over a few bottles of vino. We also publish 30 articles and are featured in a dozen publications, including the Sun-Times. Virtually every Orbit process and tool is upgraded. The Orbit Support team is born to better care for our clients. Then, in August, our in-house video team spins off into a separate company, meaning Orbit is now focused more than ever. In 2012, Orbit continues the trend of steady growth. Key roles are added, including our fearless leader and CEO, Todd Gettelfinger. Yes, Orbit officially has adult supervision. But really, Todd had been helping Orbit since 2008. The projects in 2012 are slightly larger in scope than in previous years. We handle more projects requiring ecommerce integration, make responsive web design our standard approach to mobile sites, and launch several web-based startups. But marketing websites is still our bread and butter. In total, we launch 55 websites. It is an eventful year for marketing. We have so much information and advice to share that we double the frequency of our newsletter to bi-weekly. We continue to host Wine & Web in 2012 and create a new event for teaching content marketing, Content Jam. Other news: we narrowly avoid being on a reality TV show (for the best, I’m sure) and our website is plagiarized (not so great). Also, as Chicago hosts the 2012 NATO Summit, Orbit designs and hosts the NATO Summit website. It is a good year for awards. We earn the W3 Design Award, ICIC’s Inner City 100 (announced by Fortune Magazine), 18th Annual Communicator Award for excellence in design and visual communication, and the 2012 Web Hosting Award. We also achieve Certified B-Corp status by demonstrating sustainable business practices. We are very proud of this, and we’re only the 16th company in Illinois to do so. On May 4, 2012 we mourn the loss of John Cooney. John was the leader of the technical team. He was also a mentor and a friend. We miss him daily and are continually grateful for every moment we had with him. We’re learning. The Orbiteers continue to develop personally and as a team. We’re pouring all of our talent and expertise into each project. We’re using our best practices and the latest research to drive results. Most importantly, Orbit is always, always listening to our clients. We’re teaching. We’re writing and speaking about content marketing and pushing our best content out on the blog and through the newsletter. We’re holding events like Wine and Web, Design Brew, and Content Jam. If you’re interested in the future of our marketing, we’ve posted our 2013 marketing plans. We’re making a difference. We officially became a Certified B Corporation. We are proud to be part of the Chicago community. We strive to educate and collaborate with other like-minded businesses to make a difference environmentally and socially. But our greatest achievements can be found in the faces of our clients and the Analytics of their websites. After 12 years, the goal hasn’t changed one bit: do great work for people you love.